Sunalta is a neighbourhood where 1 in 4 residents live on a low income and 34% of residents live alone – over three times the city average. The Community Association is very active and the programs they offer to engage residents are often beyond capacity. The neighbourhood needs space that is economically self-sustaining, while providing opportunities for programming, training and social enterprise. 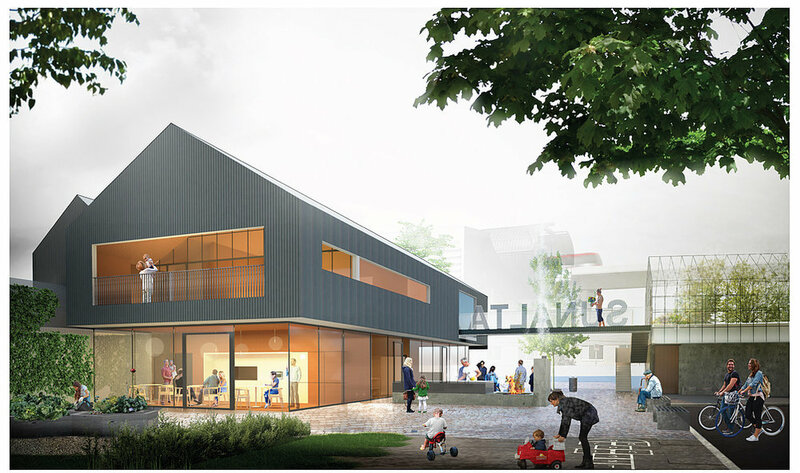 Sunalta is currently fundraising for the construction of a new building beside and connected to the existing hall. This space will include a community kitchen, coffee kiosk, community spaces and offices. This resident-led initiative that will work to remove social isolation, improve food security and create a community living room, where all are welcome to come together to find support, experience culture, share in conversation, and enjoy being neighbourly. They will create a hub that is inclusive and economically self-sustaining with a focus on creating opportunities for employment, training and community service delivery. We’re not just building a building, they’re creating a community.